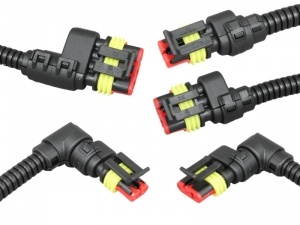 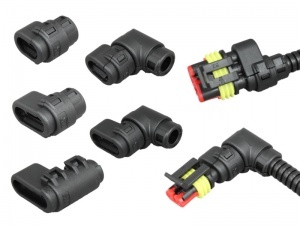 These adaptors allow you to easily and neatly connect 6.5mm ID / 10mm OD convoluted sleeving to 2, 3 or 4-way 1.5 Series Superseal connectors (both male and female halves), providing un-interrupted protection for your cable and creating an extremely professional finish to your wiring harnesses. 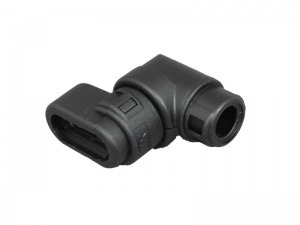 The grooves in the sleeving sit tightly inside the adaptor, creating a solid interface with high pull-off force that provides effective strain relief and prevents accidental damage to the cable during connection and disconnection. 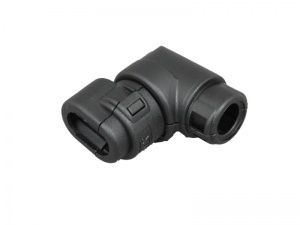 Available in straight fixed versions or with a 90° swivel (2 & 3-way connectors only). 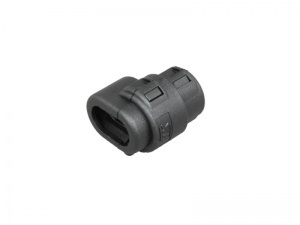 The freedom provided by the swivel prevents the sleeving from twisting the connector so is particularly recommended for use where there is movement or vibration in the harness. 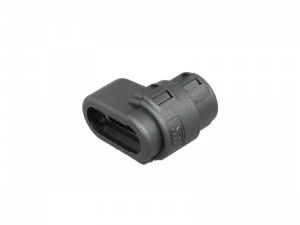 The 90° version also allows for installation in tight spaces where cable access is at right angles to the connector. 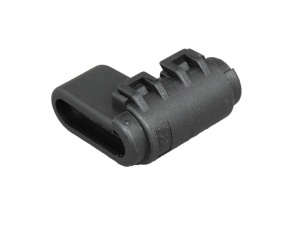 Note: Can be used with either split or un-split sleeving. Cannot be used with Superseal 2.8 Series connectors.